Previously we talked about Puerto Morelos and everything you can do there, including where to stay. Of course, hotels and resorts are a great option, but if you are one of those travelers who prefers to rent a house or stay at an inn, here are the best in this bohemian town. As we have already mentioned, this destination includes not only a romantic, austere and intimate atmosphere, but also incredible experiences in our habitat Delphinus Puerto Morelos. It is located 18 minutes from the beach. It is a typical house within the center of Puerto Morelos, in the Riviera Maya, 20 minutes from Cancun International Airport. Includes continental breakfast, Wi-Fi, cable TV, private bathroom, terrace and bicycles. 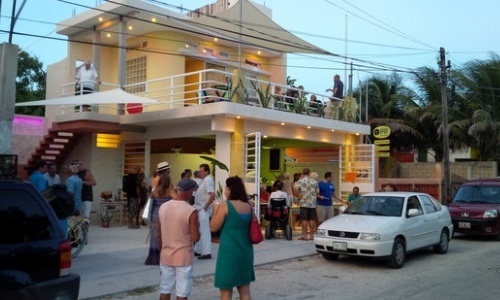 In the immediate vicinity, you will find the local bus stop and a regional station, from where you can take buses to places like Chichen-Itzá or Tulum. Near, you will find supermarkets, restaurants and bars. This little hotel has cabin-style rooms with a terrace and hammocks. 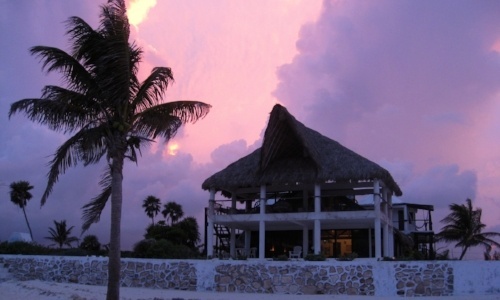 It is located in front of a secluded beach, half an hour from Cancun International Airport. Great if you are a bicycle person and love barbecues. Guests have access to a balcony and can relax in the garden. Includes two pools with an incredible view and free Wi-Fi in the lobby. It has a restaurant area. 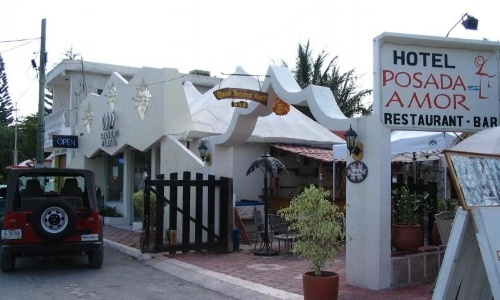 A 2-minute walk from Puerto Morelos Beach, Posada Amor offers a bar-restaurant and tropical gardens and free Wi-Fi in public areas. 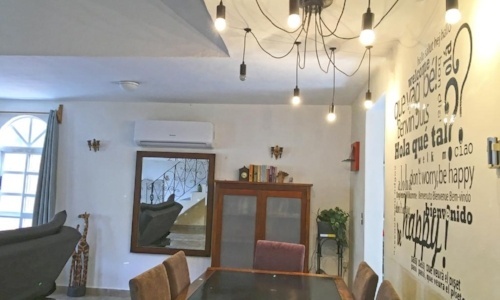 This property offers air-conditioned rooms with a private patio. 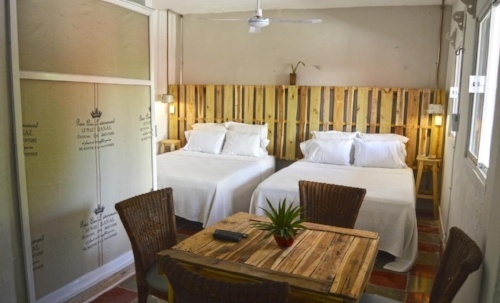 Rooms at Posada Amor have simple, traditional-style décor and include a private bathroom with a shower, free toiletries, towels and cable TV. It includes free parking and is just a 20-minute drive from Cancun International Airport. Cool and spacious rooms with balcony and hammocks, as well as a comfortable tub where you can relax. This Caribbean guesthouse is designed for you to have a good time and relax in its Sea Room and Ka'an Spa, but also to organize your wedding, if you wish. From there you can take the Mayan Experience Cenote Tour. It is a minute walk from the beach, two blocks from the main park. 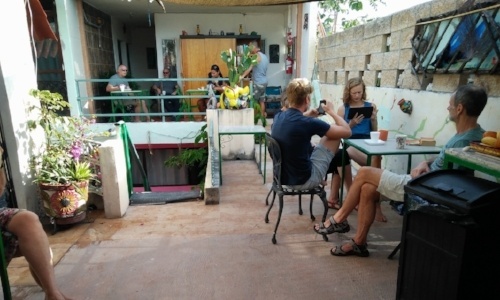 Provides free Wi-Fi, garden, barbecue area, tables and chairs. If your thing is rustic and natural look, Amar Inn has cabin style rooms on the seashore. In addition, it offers free breakfast. From here you can make different tours to tourist spots. It is an apartment on the beach that includes breakfast. 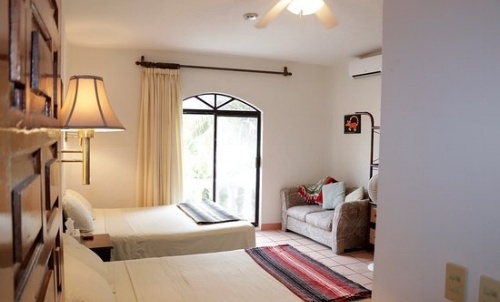 Its rooms are pet-friendly and is located 3 blocks from the center of Puerto Morelos. These 10 lodging destinations are for travelers looking to live as if they were local, surrounded by nature. After touring this bohemian city by bike, you can complement your adventure with a swim with dolphins in Puerto Morelos. 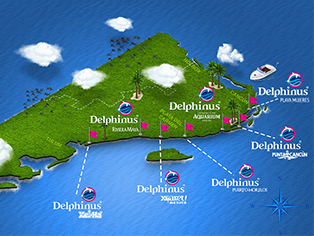 At Delphinus, we want you to have an incredible time knowing the B&Bs and inns that Puerto Morelos has to offer. Reserve a swim with dolphins in our award-winning habitat and live the best adventures surrounded by the best marine mammals.